Flying to Sweden is easy. 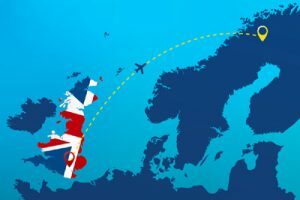 Flights to Stockholm are available from London Heathrow and Manchester year round. During the winter season we operate an exclusive direct flight to Swedish Lapland. For those flying to Lapland, we offer an exclusive direct flight between Heathrow and Kiruna, just a short distance from the Icehotel. Operated in partnership with SAS, this 3½ hour flight saves a considerable amount of time and is a real benefit to those on a short break to Lapland. Available from December to March, the direct flight can be booked through Discover the World only. Our West Sweden self-drive trips fly direct into Gothenburg from the UK. For our Skane collection of summer holidays, it is a direct flight into Copenhagen, Denmark followed by a brief train journey over the impressive Oresund Bridge to Malmo. During the summer there are daily flights to Gothenburg and Copenhagen. 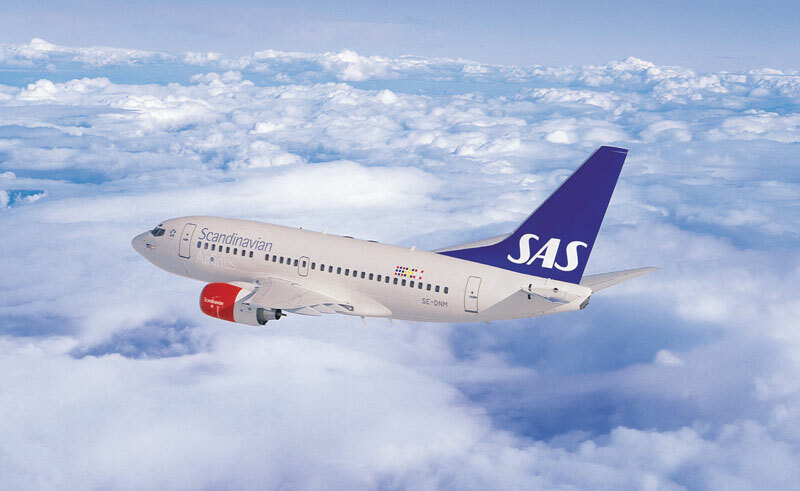 Services to Sweden and Norway are with Scandinavian Airlines System (SAS) using mostly Boeing 737-800 aircraft. On most SAS services our prices are based on the lowest available fare which means that passengers are seated towards the rear of the aircraft and charges apply to food and drinks. Free baggage allowance at the time of writing is 23kg per person, plus one small carry on item.